1. On your iPhone, open up Rocket Matter on your Safari browser. 2. 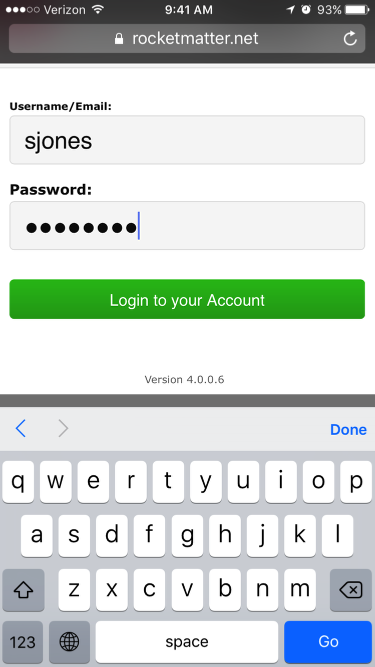 Enter your Username/Email and Password to log into your account. 5. 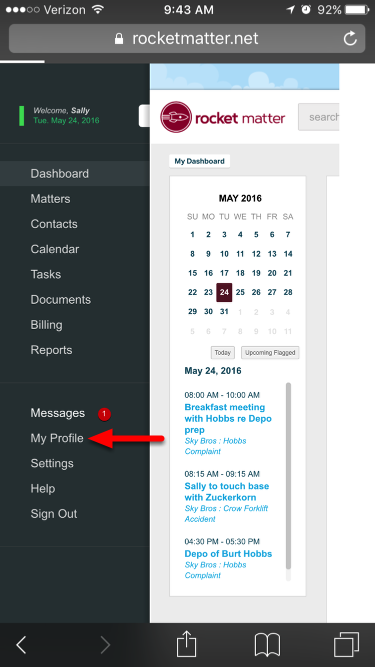 Navigate to the bottom right to see your 'Webcal Link' and select the .ics link. 6. 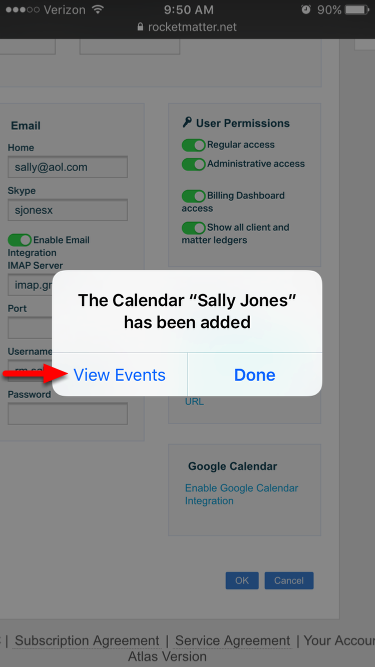 Select "Open" in Calendar. 7. Select "Subscribe" when you are prompted. 9. 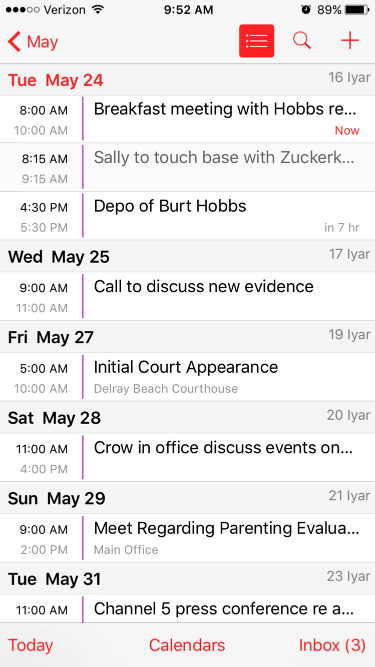 View your Rocket Matter events on iCal! 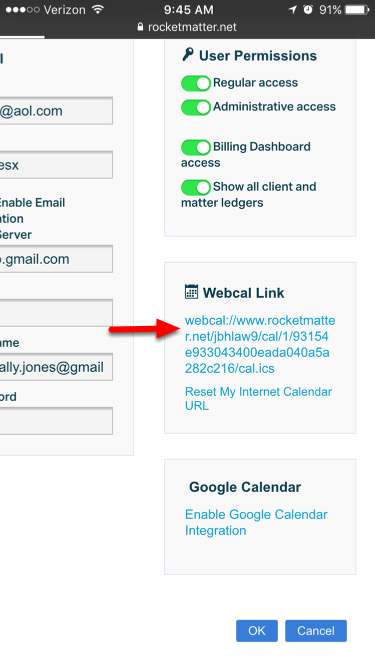 - Be sure your Rocket Matter Calendar is 'checked off' to be displayed in your Calendar settings. 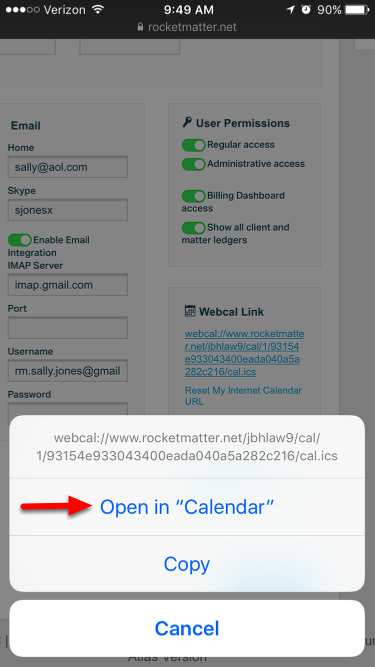 When in iCal, click "Calendars" to ensure your Rocket Matter calendar is selected to be displayed. to be sure that your Rocket Matter events are appearing. - Similar instructions may be followed to integrate Rocket Matter on your iPad. 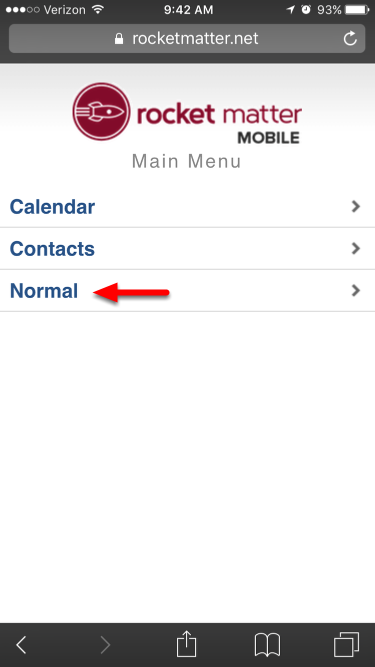 - Alternatively, you can view your Rocket Matter calendar in Rocket Matter's native iPhone App! 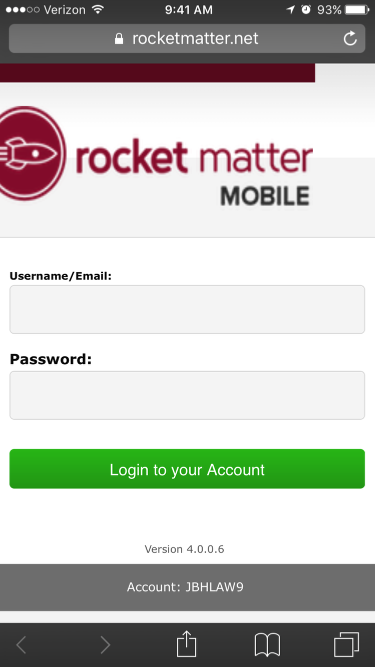 You can find the Rocket Matter iPhone and iPad app in the App Store. Prev: How to activate a one-way calendar feed.